In the brewery diary we regularly add important events from the life of the brewery. He brewed the first brew of beer in the year 1994 in the Chýně Brewery. He graduated at a technical school with a focus on brewery and studied Chemical-technological College in the field of maltry and brewery. After his studies, he joined a laboratory in the Braník Brewery and worked as the manager. 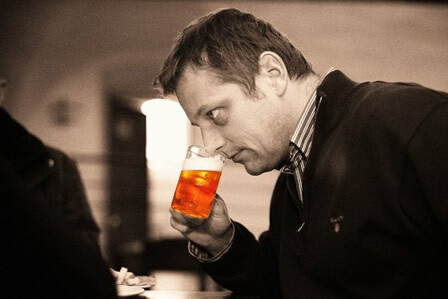 He had changed many technical and managerial positions in the brewery industry. In the year 2010, joined by his wife Lucy and with the support of his friends he renewed the Únětice Brewery. He graduated from a food industry high school in the field maltry. 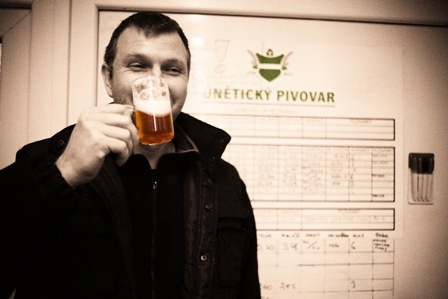 He started his first brewery praxis in the Prague brewery Měštaň. After its closure, he transferred to the Staropramen brewery, where he worked more than twelve years. Here he went through every brewery position from the brewhouse to filtration. In May 2011, together with his colleague Martin Masáček and head matler Vladimír Černohorský they brewed the first brew of Únětice beer.